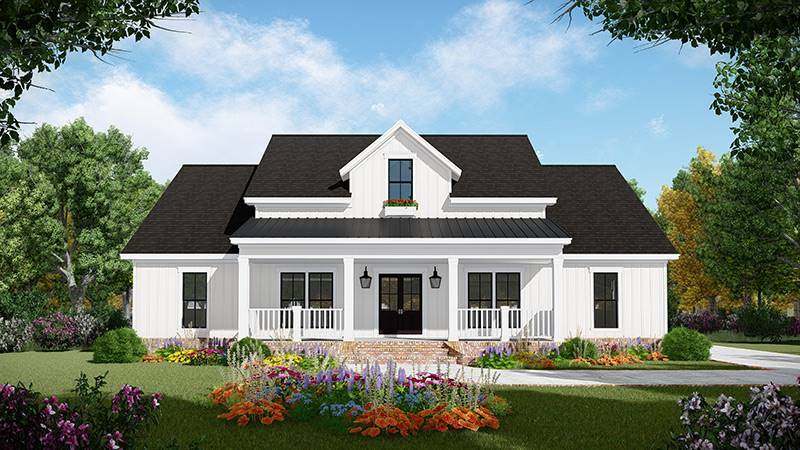 PLAN DESCRIPTION This cozy one story farmhouse is 1,800 square feet with an open floor plan featuring split bedrooms for the modern family. The 10' ceilings and fireplace in the great room add to that open, inviting feeling. The L-shaped kitchen features an island with eating bar with a large walk-in pantry and laundry room nearby. 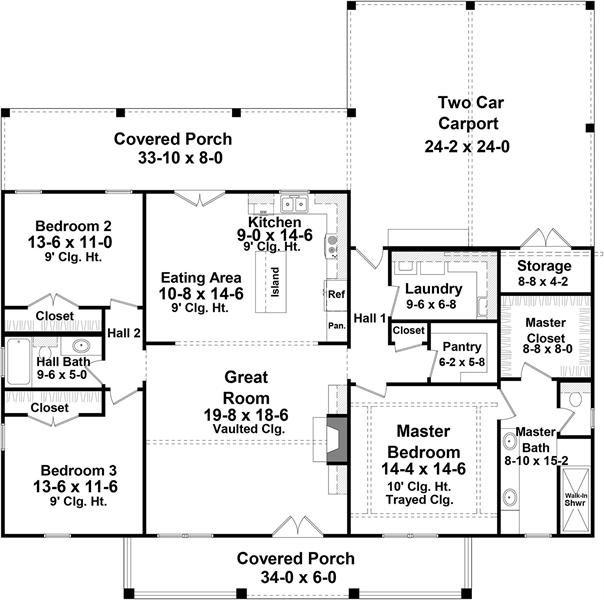 The back covered porch opens onto a large 2 car carport with storage room.